What is this request related to? Collecting the debts you are owed to drive up your profit and drive down your bad debt. Performing evictions and collection actions for landlords against tenants who have committed lease violations. Mortgage closings, titles, affidavits, deeds, etc. Jennifer is always available. I've never had an issue getting in touch with her. She is my best Ohio lawyer! 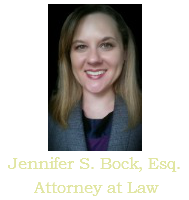 Jennifer Bock is an extremely talented attorney who cares a great deal about her clients and her firm. I have been very impressed with her professional skills. 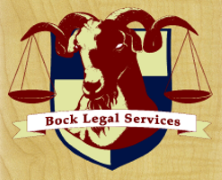 She is an excellent attorney and would be a fine choice for anyone who needs help in her areas of expertise. Jennifer solved my business collections issue very quickly and saved me costly court fees. The best people are hard to find but I am very lucky to find Jennifer Bock for my collections need. Jen has really done a stellar job in helping us with tenancy issues. I sleep better at night knowing she’s in our corner!